With a childhood filled with migratory experience, Michele Mathison, now Johannesburg-based artist, draws upon his background and knowledge to tell tales using visual language that his sculptures and installations form. He uses various materials in his work and manipulates them in order to transform everyday objects into artistically brimming narratives. 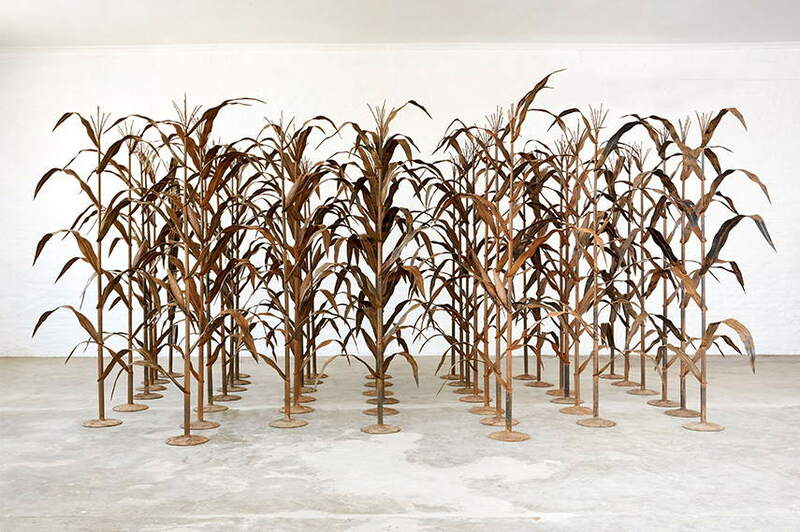 Having spent most of his younger days in Zimbabwe, his installations touch upon some universal concerns and subjects like migration, land ownership and cultivation, but also speak of ancient tales and symbols embedded in the country’s history and identity. Displaying this newest line of work, the Michele Mathison exhibition named Uproot will take place in Tyburn Gallery in London, between February and March of 2016. Born in South Africa, Michele Mathison has lived and migrated through several countries, eventually spending most of his childhood in Zimbabwe. It is there where he was first introduced to painting, drawing and sculpture, thought by Helen Lieros at the Delta Gallery and at Prince Edward School. 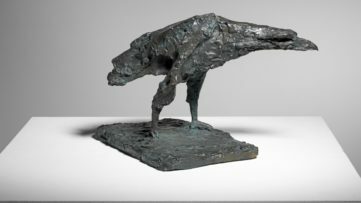 Honing his artistic skills later on in Michaelis School of Fine Art at the University of Cape Town in South Africa, his accomplishments were recognized and he received the class medal award for sculpture in 2000. In his sculptural work, he utilizes ordinary objects like ceramic, steel, resin and found items and assembles them into symbols conveying contemporary life in South Africa. Exploring both highs and lows of everyday life in the region, his works are artistically beautiful and often realistically concerning. Mastering this type of expression, he has had several solo shows including: Harvest at Zeitz MOCAA Pavilion in Cape Town (2015), Manual at Whatiftheworld in Cape Town (2014), and Exit/Exile at Nirox Projects in Johannesburg (2011). His group exhibitions include: Broken English at Tyburn Gallery in London (2015), You Love Me, You Love Me Not at Municipal Gallery in Porto (2015), African Odysseys at Brass in Brussels (2015), among others. His latest body of work to be presented at Tyburn Gallery brings together tools, objects and symbols that have a historical importance as well as contemporary influence in cultural and political identity of South Africa and Zimbabwe. 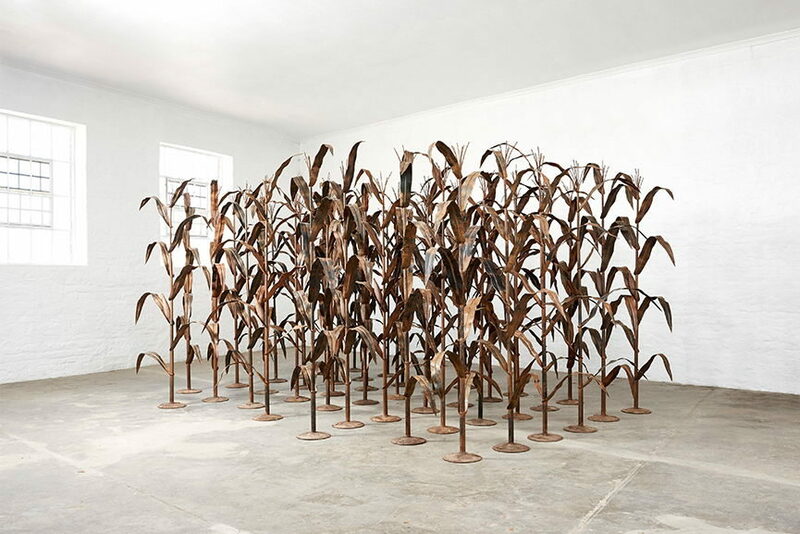 In Plot, Mathison creates a visual field of maize plants within the gallery space, crafted in steel and devoid of function. 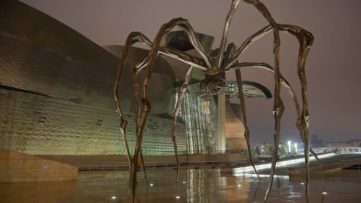 Viewing the piece, visitors will feel the artist’s distinct concern for land ownership and cultivation that are universally present in the area, ultimately providing a metaphor for the cycle of life. 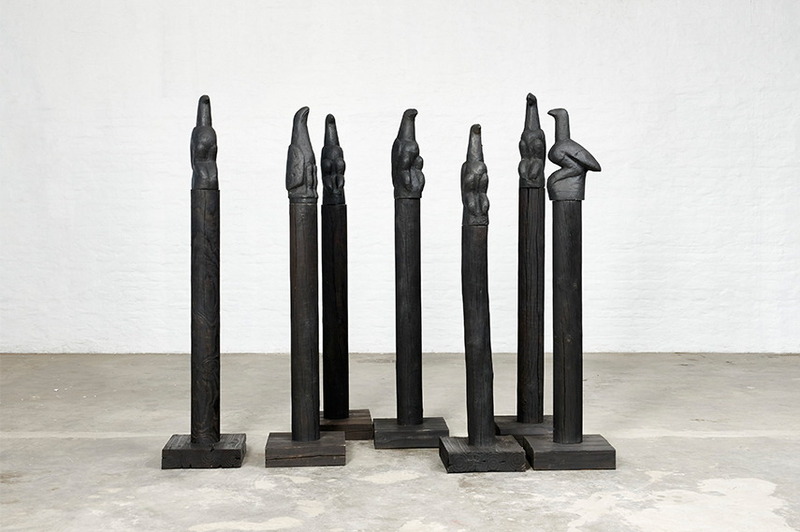 The stone-­carved birds in the series Chapungu, Shiri yedenga (sky bird) are charged with political and spiritual connotations related to Zimbabwe’s history. Essential to the Shona people and their religious beliefs, it is believed that the birds were used to communicate with ancestral spirits. The birds were removed and appropriated by several different parties during the 18th and 19th century, only to be repatriated to Zimbabwe in 1980. 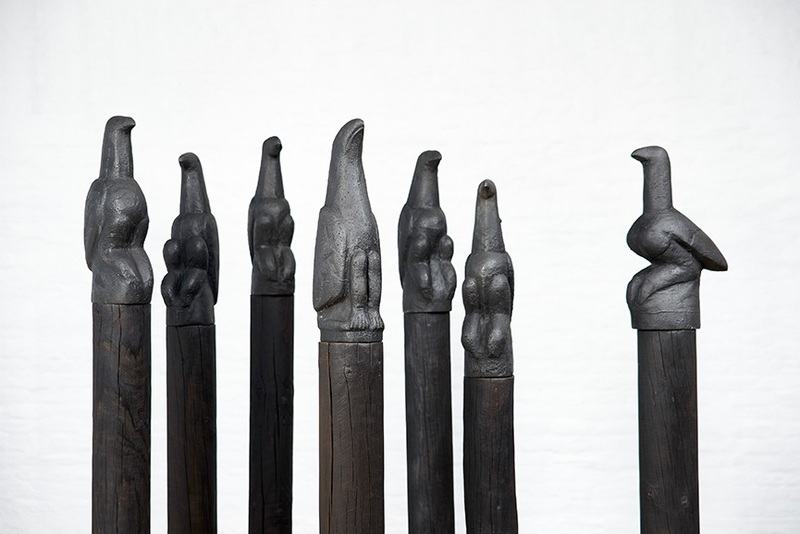 Mathison has reinterpreted them in cast iron and placed on wooden gum poles, now standing as his declaration about uprooting and repatriation of historical symbols. 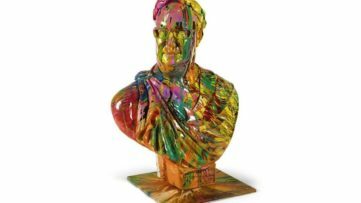 Masterfully combining simple objects and tools into sculptural representations of historical symbols and contemporary concerns, Michele Mathison expresses his appreciation of the lively, shocking, tragic and uplifting mosaic of life in southern Africa. Touching upon both personal and political subjects, his latest works form a visual narrative of labor and migration, which are universally present in his and surrounding countries. The Michele Mathison exhibition named Uproot will open at Tyburn Gallery in London on February 5th, and last until March 19th, 2016. 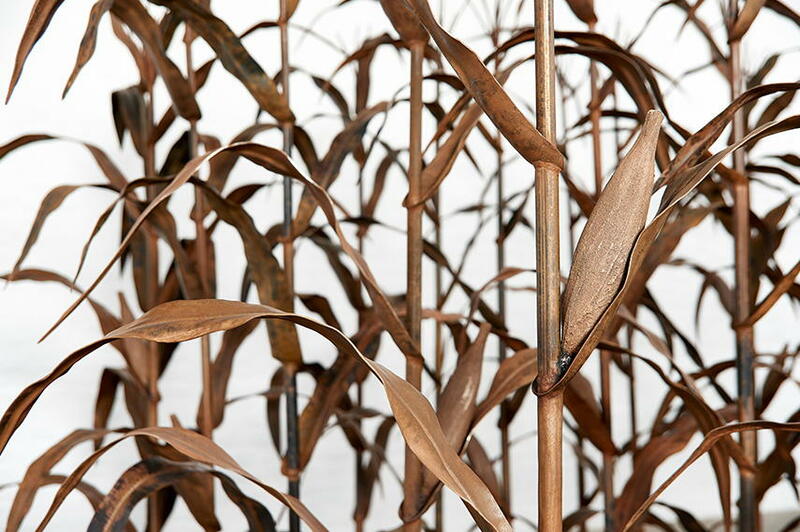 Featured images: Michele Mathison – Chapungu, Shiri yedenga (sky bird) (detail), 2015; Michele Mathison – Plot, 2015. Images courtesy of Tyburn Gallery.